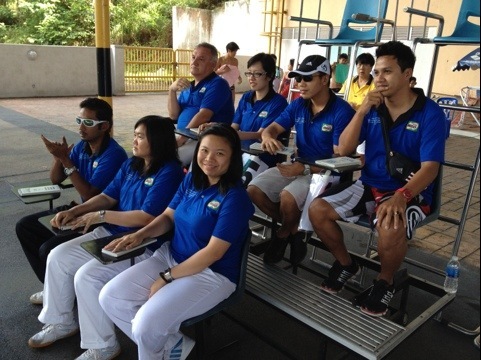 Day 1 of the Malaysia National Age Group Championship 2012 saw divers from various Malaysian states, Uzbekistan, Macau China, New Zealand and Singapore compete in the Junior B Boys and Girls 3m, Junior C Boys and Girls Platform, and Junior A Boys and Girls 1m Springboard events. 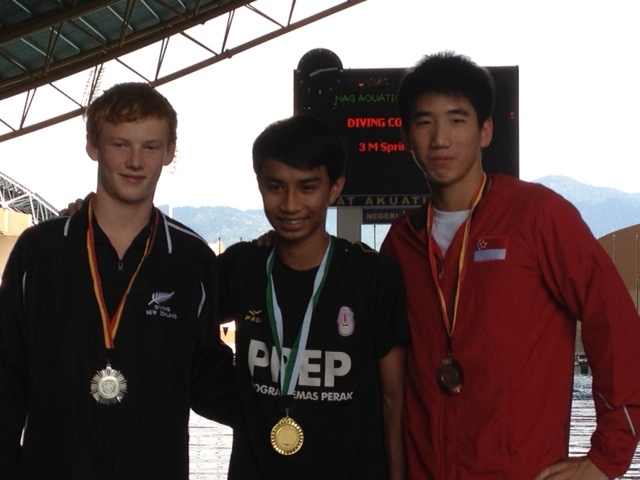 In the Junior B Boys 3m Springboard event, Jonathan Chan came in 10th out of 13 divers, with a total of 288.40 points. 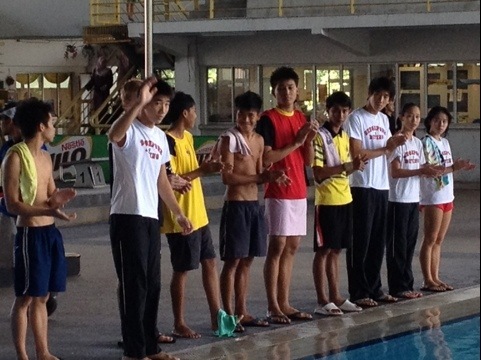 Timothy Lee and Mark Lee participated in the Junior A Boys 1m Springboard event, competing against 6 other divers. Timothy Lee clinched the Bronze award behind Muhamad Syafiq (Perak, 448.65 points) and Liam Stone (New Zealand, 422.60 points), with 395.50 points, while Mark Lee came in 6th, with a total of 364.25 points. 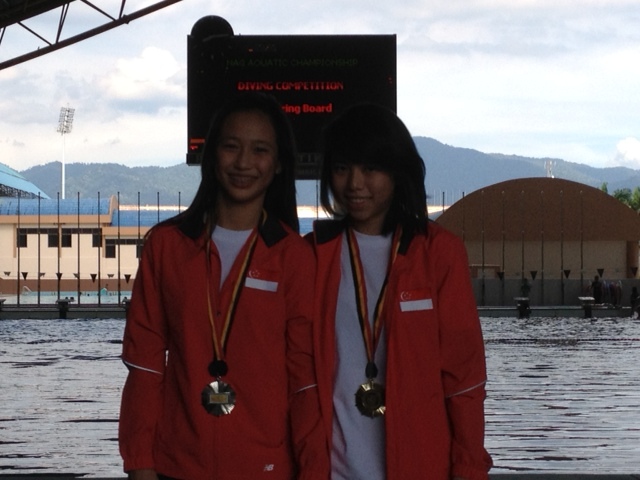 In the Junior A Girls 1m Springboard, Myra Lee and Fong Kay Yian clinched the Gold and Silver awards respectively, with Myra Lee obtaining a total of 279.55 points and Fong Kay Yian obtaining a total of 273.40 points. On Day 2 of the competition, Jonathan Chan came in 9th out of 11 divers in the Junior B Boys 1m Springboard event, with a total of 305.30 points. 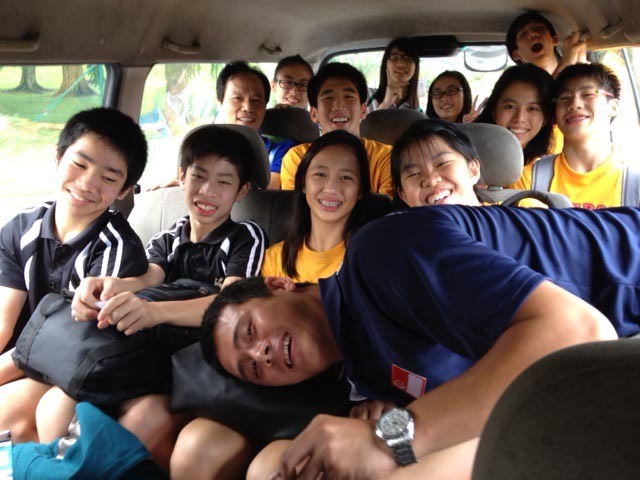 Day 3 saw Timothy Lee and Mark Lee participating in the Junior A Boys 3m Springboard event. Timothy Lee came in 6th, with a total of 375.70 points while Mark Lee came in 7th, with 370.40 points. In the Junior A Girls 3m Springboard event, Fong Kay Yian clinched the Bronze award with 342.80 points, coming in behind Kam Ling Kar (Perak, 397.85 points) and Jasmine Lai (Perak, 353.50 points). Myra Lee came in 4th place, with a total of 324.75 points. 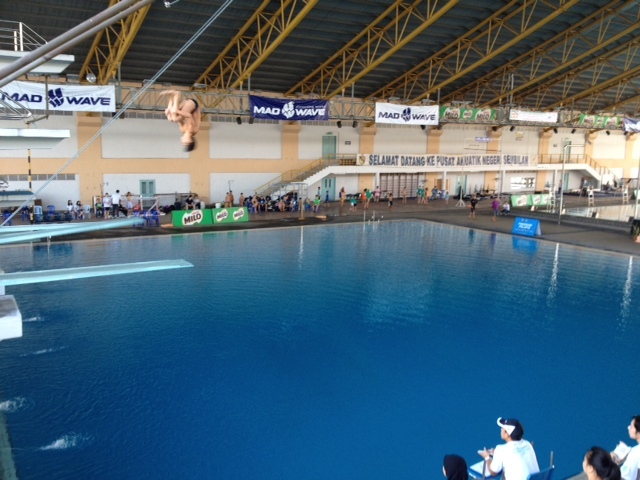 Also on Day 3, Jonathan Chan competed against 11 other divers in the Junior B Boys Platform event and clinched the Bronze medal, with a total of 322.30 points, behind Muhd Nazreen (Kuala Lumpur, 380.75 points) and Sylvester Gaing (Sarawak, 331.15 points). ~ by Singapore Diving on April 28, 2012.